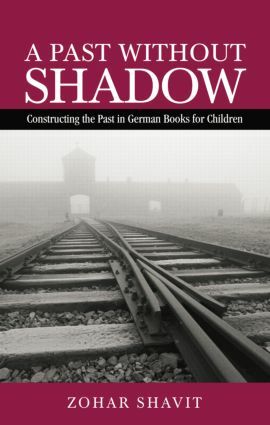 A Past Without Shadow examines 50 years of German children's books in which the darkest horrors of the Third Reich have routinely remained hidden. The horrors of the Third Reich are systematically screened and filtered, allowing the darker, bleaker parts of history to escape illumination. Here Zohar Shavit explores 345 German books for children describing the Third Reich and the Holocaust, and finds a shocking distortion of the past: a recurrent narrative which suggests that the Germans themselves had no hand in the suffering inflicted on the Jews. These books, Shavit argues, have created the false historical lesson that the real victims of Hitler's crimes were the German people themselves. First published to great acclaim in Hebrew and now available in English, this book is a wake-up call for anyone concerned about German children's literature and its responsibility to past and future. Part III Whose War Was It?